An height adjustable extendable monitor arm with desk mountable bracket. 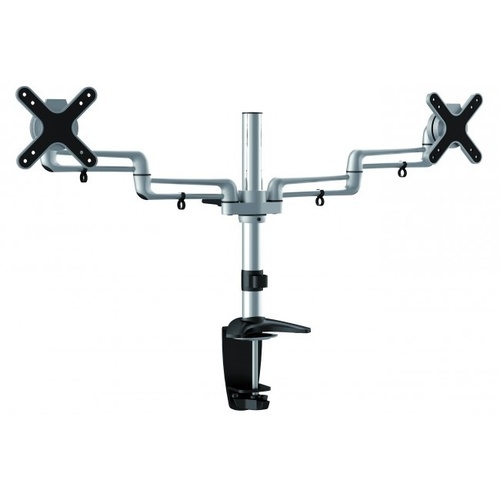 Cantilever arm provides full extension and can be folded. Mounting arm slides vertically along column for ideal positioning. 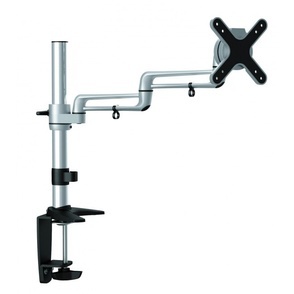 Other mounting options available including through desk installation. Mounted screen can be tilted, swivelled and pivoted. Dual monitor mounting option available.